So finally i ready to admitt that summer is over and it is now autumn and then what do we get in bloody old England? A heatwave. My manicure is supposed to be an fall mani, dedicated to the changing colours of the leaves etc. 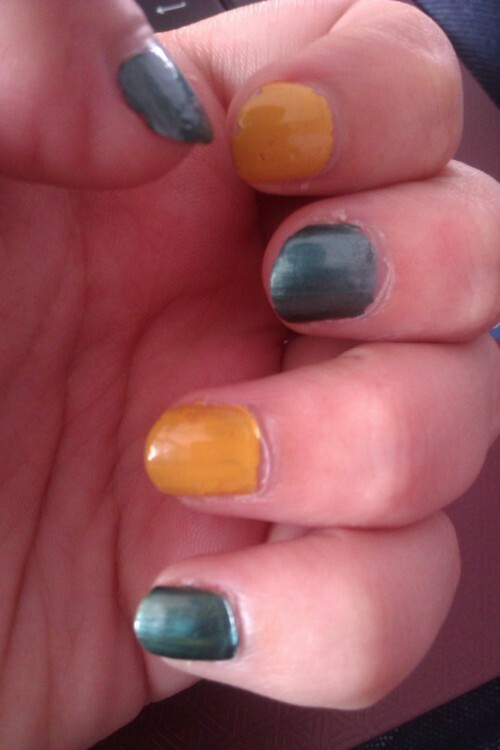 While I was applying this mani I really disliked the colour combination (the mustard yellow on it's own and coupled with the green) however I have wore this one for three days now (ignore the slight chipping in this photo) and the combo has grown on me alot. I will definatly be wearing these polishes together again.